All Jewelry is handcrafted and one a kind. When it comes to jewelry, people are looking for both meaning and beauty. A lot of people especially love to have pieces that are unique and unlike anything anyone else has ever seen. Our one of a kind Mystic's Dream Collection pendants and cuff bracelets are made from Sterling silver wire, 14K gold filled wire and Silver solder. Each one being a original work of art. No two pieces could ever be exactly the same. Every item sold through Remnants of Magic is chosen for its beauty and metaphysical properties thus ensuring you get a piece that is as magical as the person who wears it. Amethyst is a meditative and calming stone which works in the emotional, spiritual, and physical planes to provide calm, balance, patience, and peace. It is a stone of spiritual protection and purification, cleansing one's energy field of negative influences and attachments, and creating a resonant shield of spiritual Light around the body. It acts as a barrier against lower energies, psychic attack, stress and unhealthy environments. Brings Hope in times of despair. 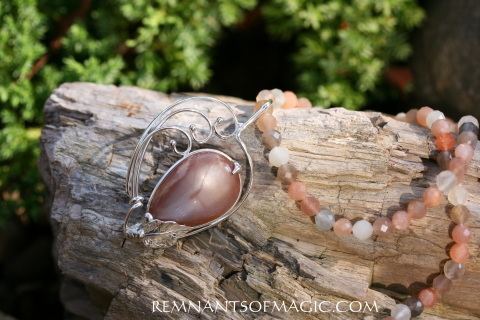 Rose Quartz is the stone of unconditional love that opens the heart chakra to all forms of love: self-love, family love, platonic love, and romantic love. The high energy of quartz gives rose quartz the property of enhancing love in virtually any situation. Bringing love in to life and daily situations not only brings inner warmth, but it also lowers stress and soothes those around it. 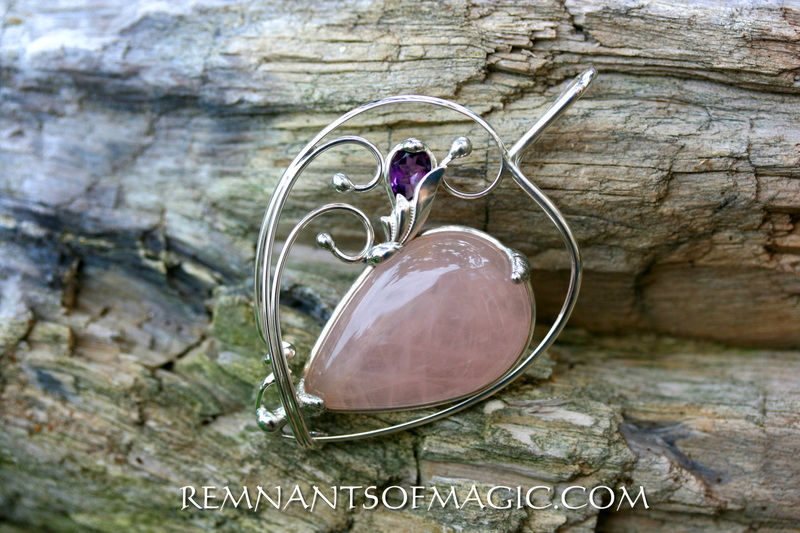 Rose quartz is a very happy and loving stone. Moonstone necklace with go from a 16 inch to 20 inch with sterling silver extender chain. 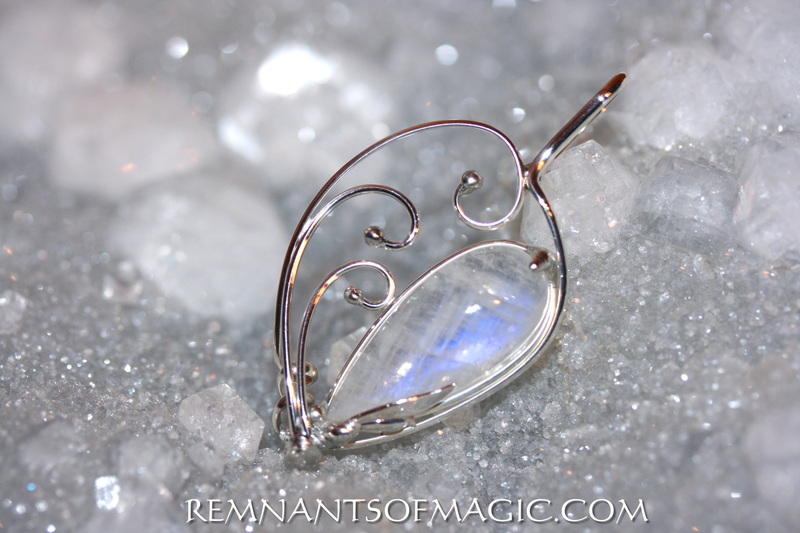 Moonstone has a gentle, calming energy. It helps to strengthen intuition and psychic perception, and enhances creativity, compassion, endurance and inner confidence. It is a stone that brings balance, harmony, and hope. Moonstone brings in a spectrum of light, and can help with clearing and bringing in uplifting energies. It has been said to have the power to grant wishes. Golden Labradorite is a stone of confidence, courage and vitality. It clears, balances and aligns the energies of the subtle body. It also stimulates clarity of thought and focus. Said to be a spiritual teacher when used in meditation. 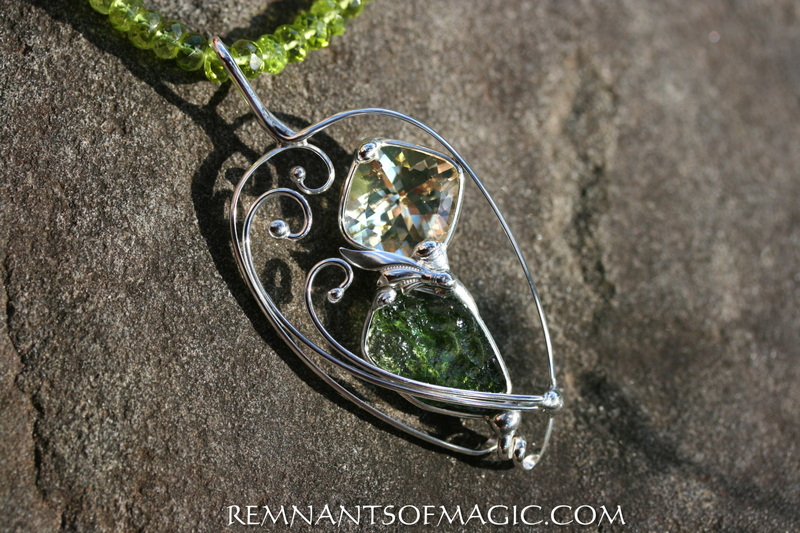 Moldavite's usual deep bottle green color and natural etchings, and are translucent when held up to light. Associated with the Third Eye or Heart Chakras, Moldavite enhances inner journeys, channeling, cosmic consciousness, and awareness of inter-dimensional or extraterrestrial energies. 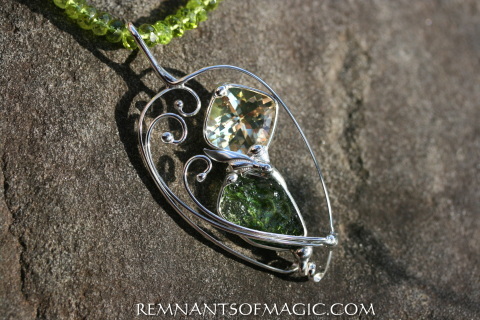 Moldavite reminds us how our Earth is but one place in a much larger system of cosmic consciousness. Moldavite's effects can range from powerful to subtle, depending on the person, and can help one to accelerate their spiritual growth, opening the chakras to higher frequencies of energy. 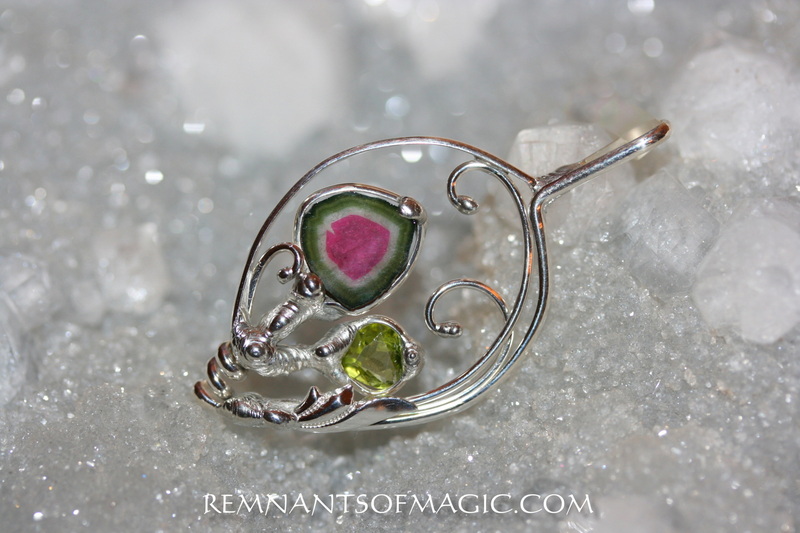 Many crystal healers use Moldavite to enhance energetic connections between the etheric fields and the chakras. 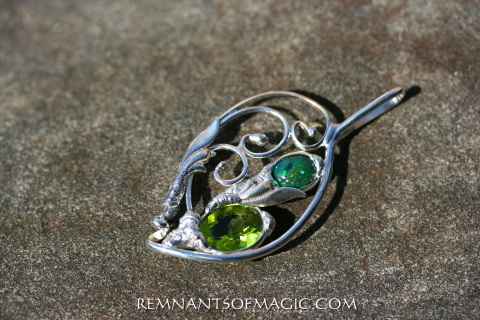 This stunning pendant is a little over 2 inches. 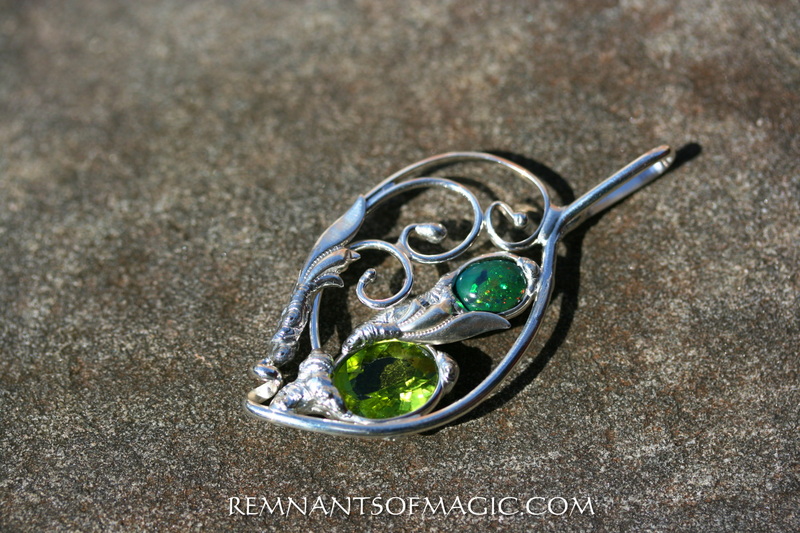 Necklace not included with pendant. 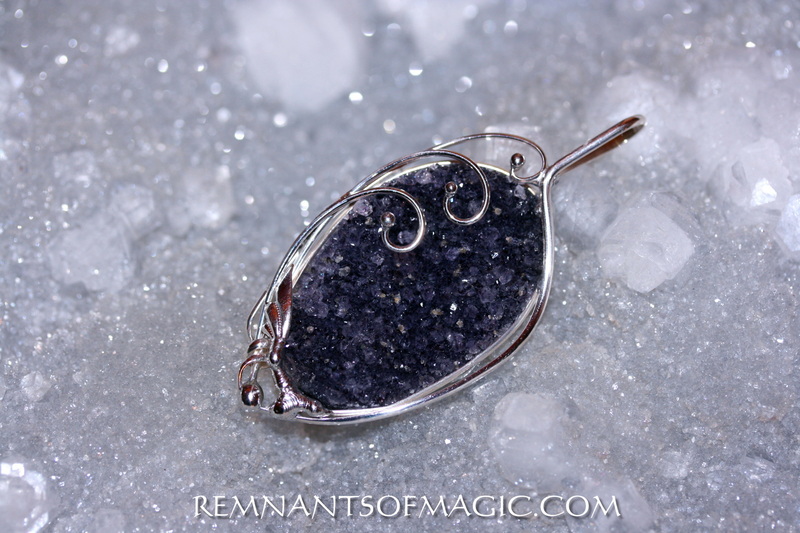 This Black Amethyst is a treasure piece and is a rare find! Black amethyst is a darker version of amethyst due to the hematite inclusions found inside it’s crystalline matrix. 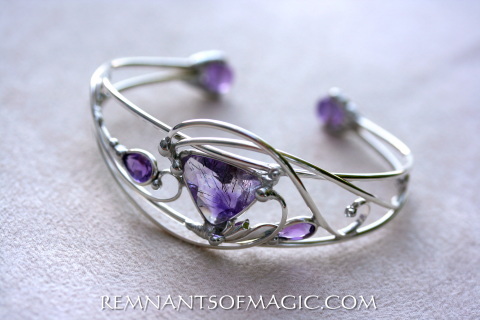 Amethyst is known as a third eye or crown chakra crystal to connect one to the divine, boost spirituality, provide auric protection and enhance your psychic abilities. Protects one from psychic attack. 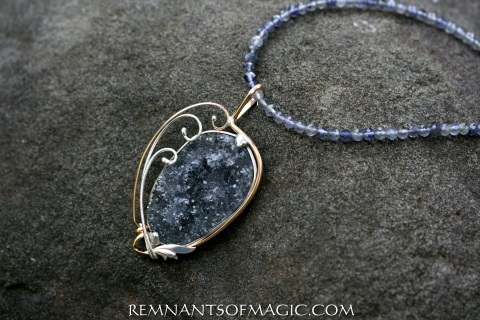 Creates a protective shield around the physical body and aura. Great for empaths. 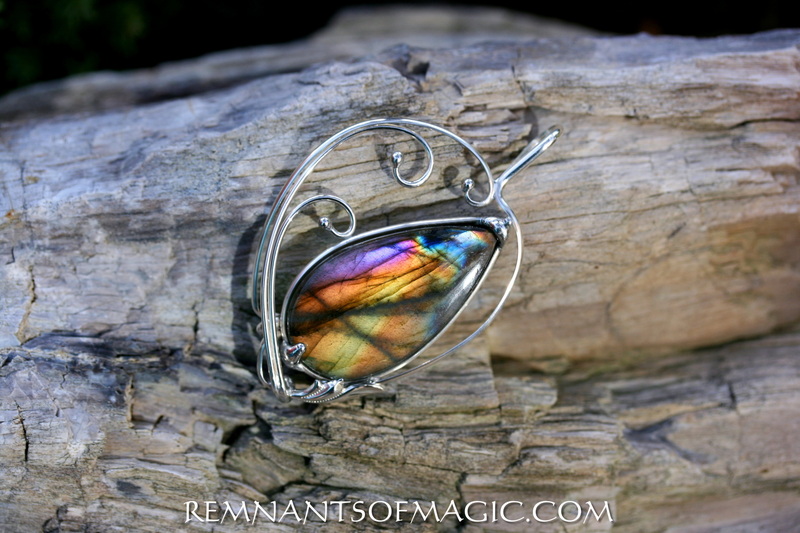 This pendant is 3 inches. This pendant is 3 inches. 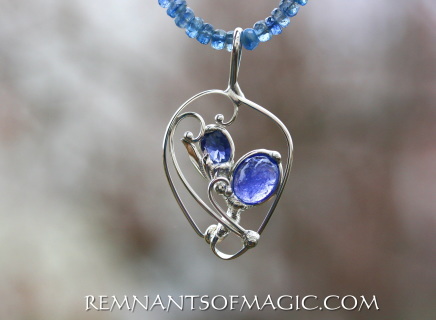 The Iolite necklace shown in pictures does not come with pendant but can be purchase separately. 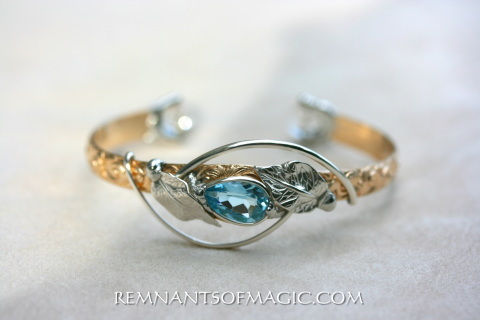 ​​​Blue topaz meaning is related to healing, love and relationship as it promotes harmony & relaxation in relationships. 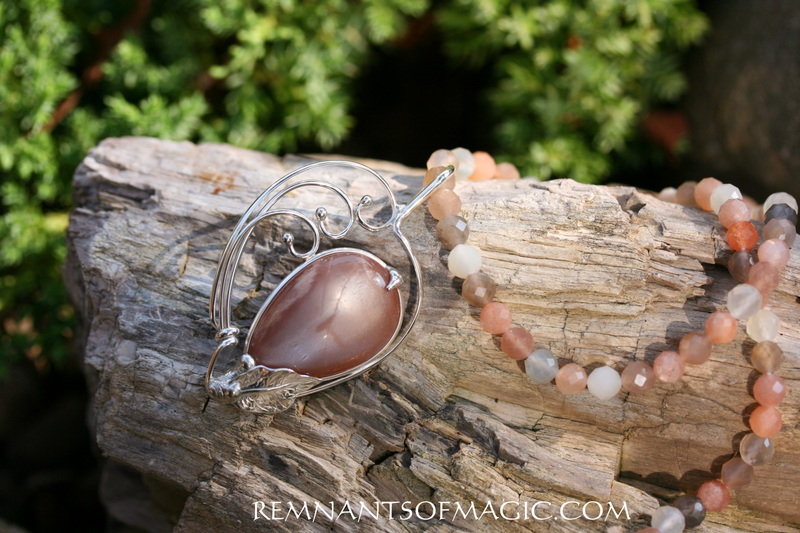 Rutilated Quartz has an extraordinary energy to help you to develop psychic gifts. It will aid you to manifest what you desire in life. This may assist you to receive spiritual knowledge and guidance, to help you to gain concentration and mental clarity. Wearing this stone can be very powerful, and may move your life in a new direction very quickly. 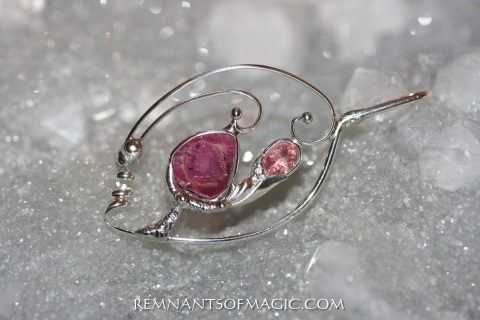 This Stone has a natural whole inclusion in the stone that goes all the way through the stone and the pendant measures about 3 inches. Pink Tourmaline reminds us that we must love ourselves, to be able to love another. Encourages a positive attitude. Provides strength and support during tough times and trials in your life. Provides emotional balance, opening and balancing your heart chakra. When your heart chakra is open and balanced, it brings an influx of love, joy and happiness into your life. 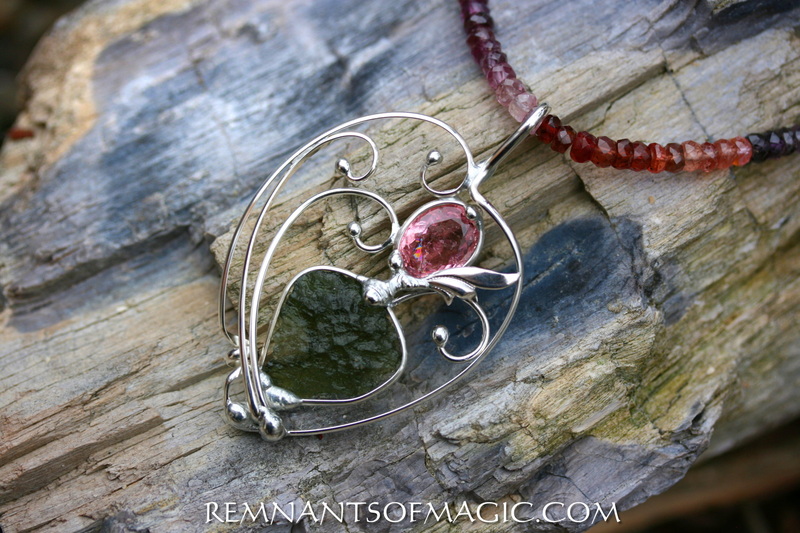 Connects with the root chakra to bring strength, courage and conviction to all your endeavors in love. Encourages you to overcome issues that keep you from opening your heart to love. Opal acts as a prism within the aura, bringing a full spectrum of Light energy to the system, soothing and clearing the emotional body, and boosting the will to live and the joy of one’s earthly existence. 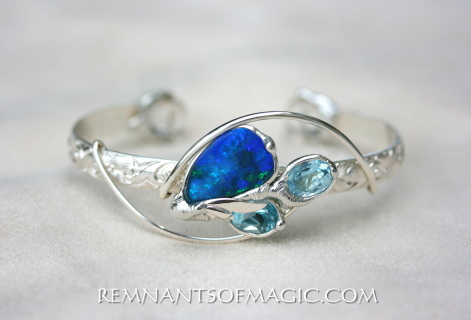 Opal brings optimism, enthusiasm and creativity, and allows for the release of inhibitions inspiring love and passion. Opal enhances cosmic consciousness and stimulates flashes of intuition and insight, yet is a protective stone for deep inner work, meditations, and lower world shamanic journeys. Amazonite necklace not included with Pendant but can be purchase separately. ​The Angel Aura Quartz is a crystal that you should have if you want to try a new approach, discover a new path in life, or to achieve something that you desire! It will aid your spiritual development as it encourages you to accept direction and guidance from Spirit and to find your purpose. You can use the vibration of this stone to aid you to manifest, as it has strong magnification energy. It also aids you to have a more orderly approach. This will aid manifestation and make the passage of achieving your desires easier and faster. Amethyst is a meditative and calming stone which works in the emotional, spiritual, and physical planes to provide calm, balance, patience, and peace. Amethyst can promote peacefulness, happiness, and contentment. A bringer of hope in times of despair. 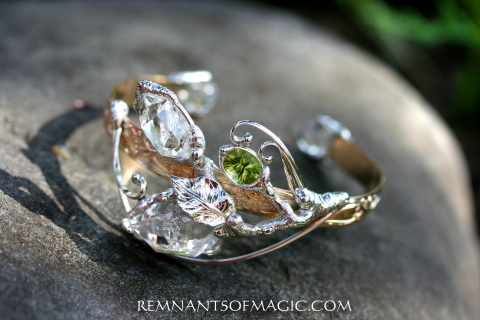 Medusa Quartz is considered to be a water crystal. It can give the wearer a soothing feeling that can offer a great deal of comfort to them when they need it the most. It can also take away any concerns that you may have, which also provides a sense of calm when you are starting to feel overwhelmed. These are things that will help give you better focus, which will allow you to take care of things that you need and want to do. 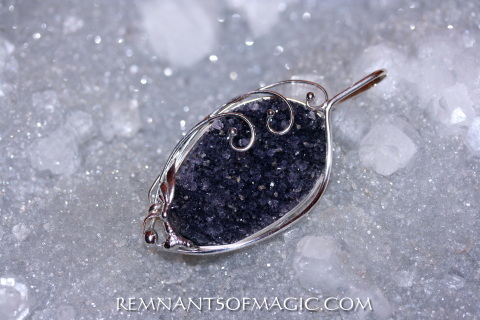 This stone can be pretty powerful in these fields on its own but when used in combination with a clear crystal, this will create a powerful combination that will ensure that you will reap the benefits of this item. 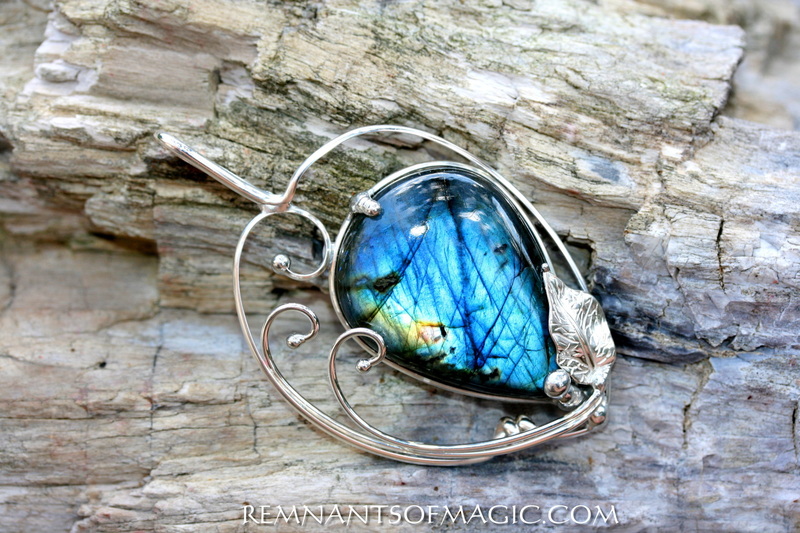 ​​​Labradorite is a stone of transformation and magic. It is said to clear, balance and protect the aura, as well as being an excellent stone for general protection. It can provide clarity and insight into your destiny, as well as attract success. Relieves stress and anxiety and increases energy and self-confidence. 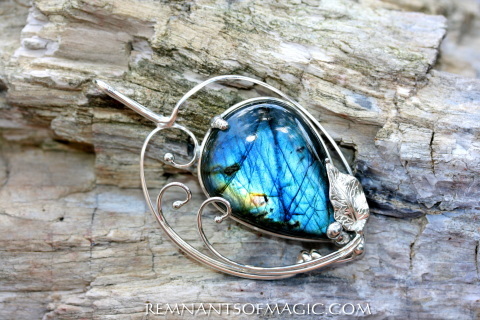 Labradorite is also said to increase intuition, psychic development, esoteric wisdom. 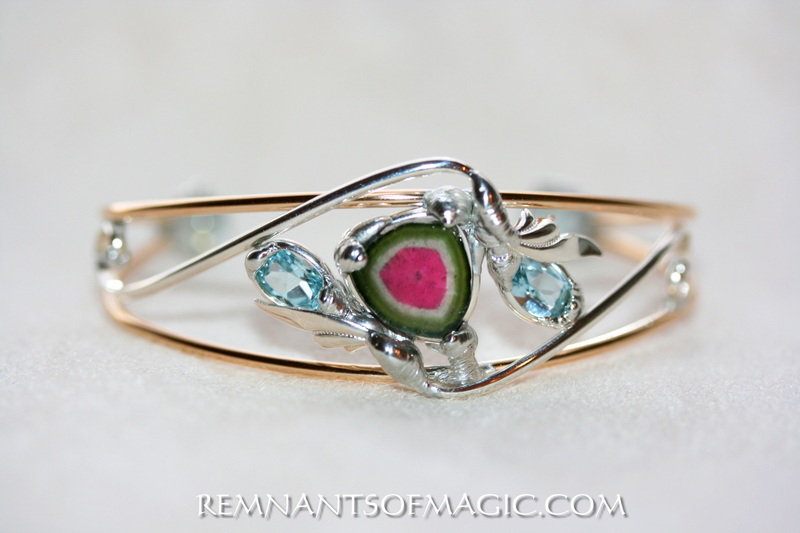 ​Watermelon Tourmaline works with the Heart chakra, cleansing and removing blockages. As a balancing stone it aids in removing insecurities. It can help to inspire creativity and connects the Heart Chakra to both physical and spiritual vibrations. It can calms overactive emotions attract love and resolve issues in relationships, infusing them with joy and Divine Love. 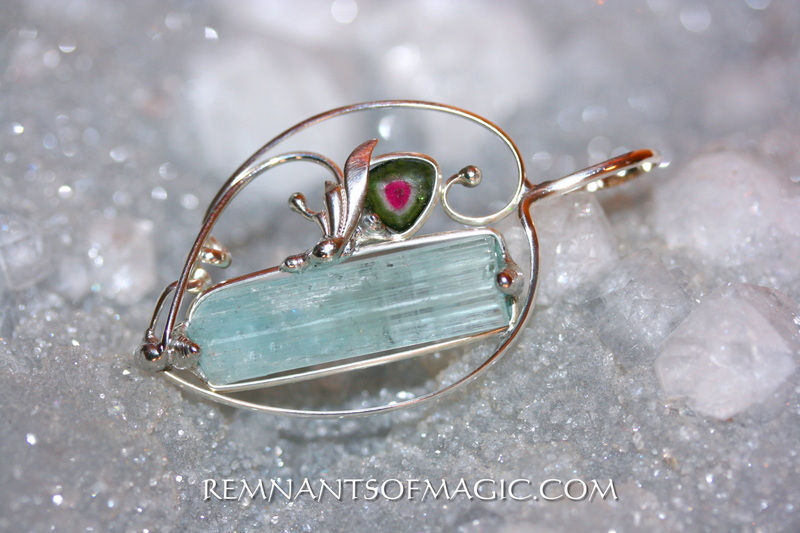 ​Aquamarine is metaphysically known as a stone of courage and fortitude that can bring great power. It is said to assist with quick intellectual response. It brings inner peace, hope and self-love, gives shielding for the aura, and is said to bring angels for their guidance and protection. 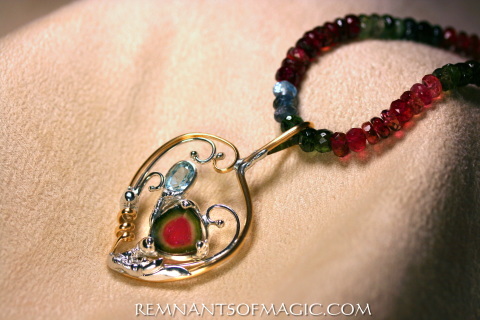 Emerald is a stone of love and romance, and is reputed to bring both passion and domestic bliss. It brings and enhances harmony, joy, cleansing, clairvoyance, memory, and faith. It also benefits intuition, intellect, communication, decision making, and promotes truthfulness and honesty. Emerald is used to enhance intuitive awareness and to bring forth manifestation. It is a stone of protection. 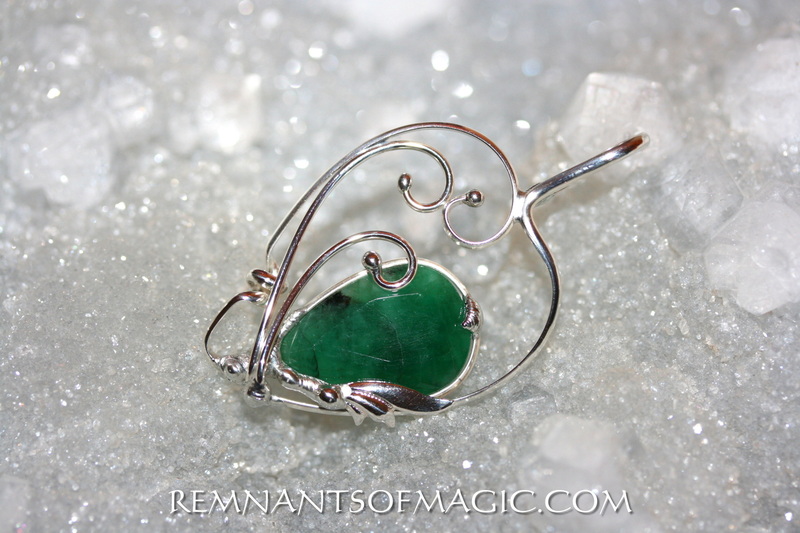 Emotionally emerald is used to help with emotional traumas and to bring hope. 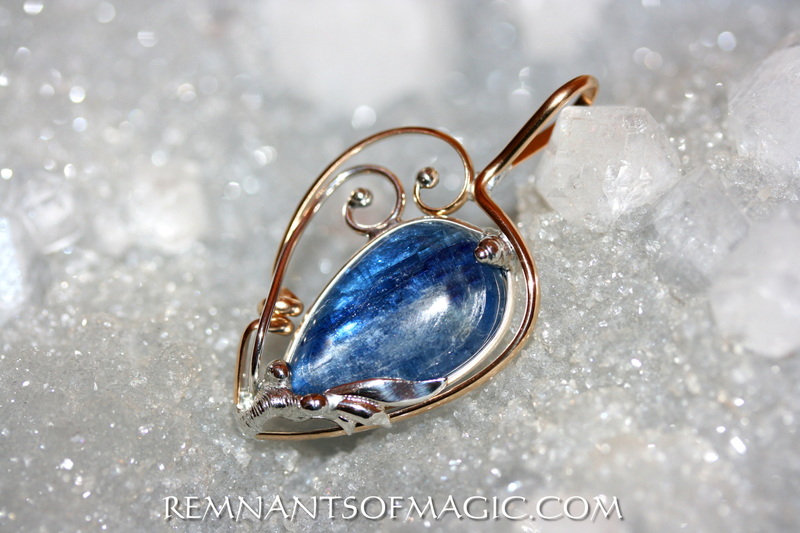 Kyanite is a stone of channeling, altered states, vivid dreams, dream recall, and visualizations. It gives protection during these states. It brings loyalty, honesty and tranquility, and diminishes anger and confusion. Kyanite does not retain negative energy and never needs energetic cleansing. It does align and balance all chakras. outstanding at healing, balancing and energizing all seven chakras. 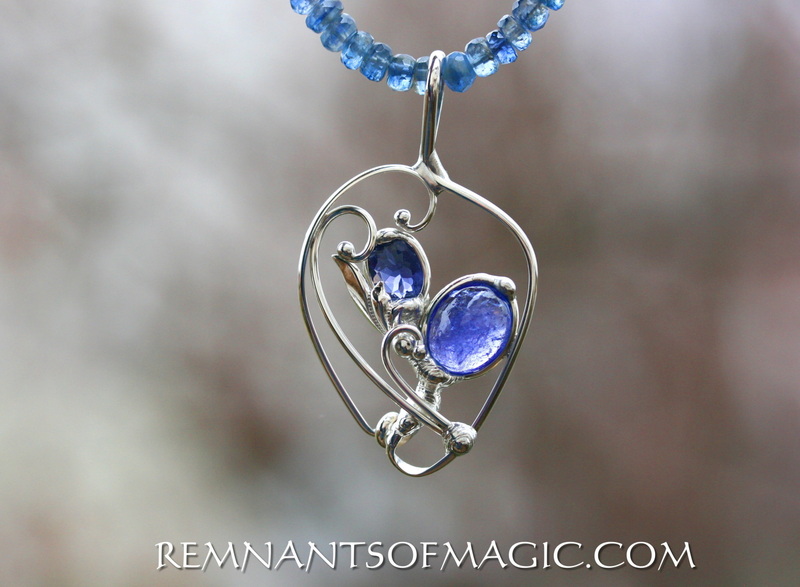 Tanzanite is called a "stone of magic" that helps with spiritual awareness and psychic insight. 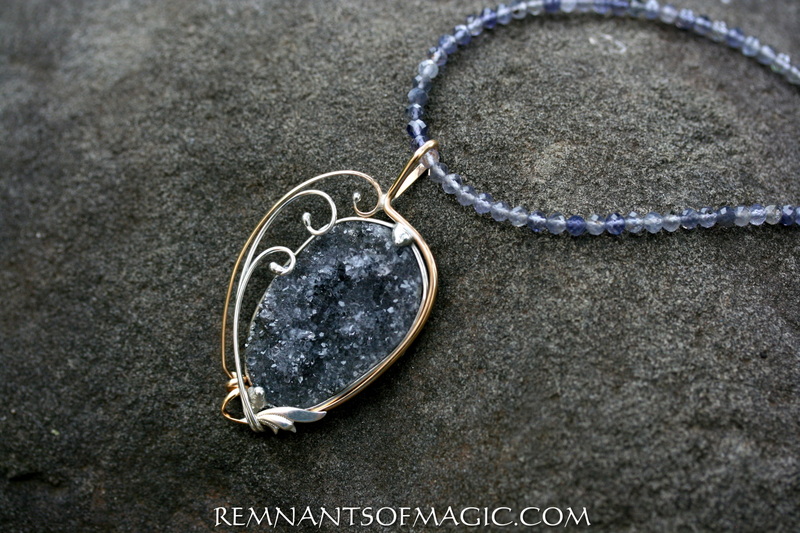 Iolite carries the spirit of journey, of dreams and intuition. 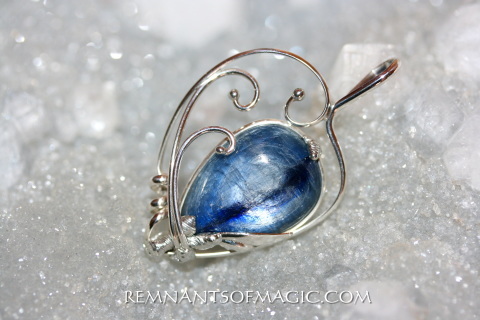 This pendant is 2 inches and does not come with Kyanite necklace shown in picture. New Watermelon Tourmaline and Blue topaz Pendant. 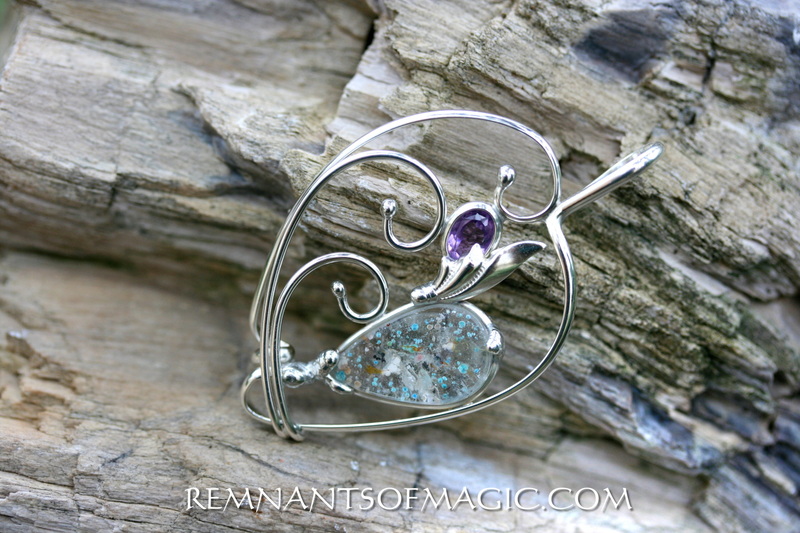 It has the most enchanting positive energy radiating from this pendant. <3 Tourmaline necklace not included in pendant price. Check neacklace section for pricing. Watermelon Tourmaline works with the Heart chakra, cleansing and removing blockages. As a balancing stone it aids in removing insecurities. 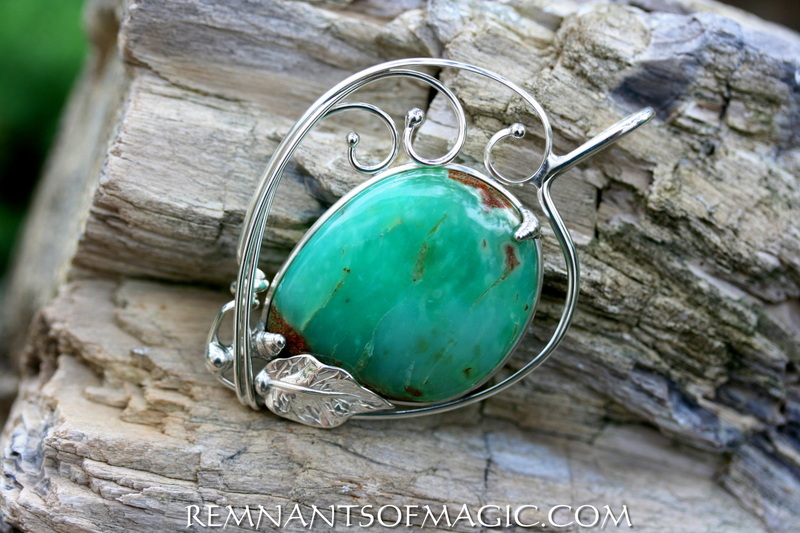 It can help to inspire creativity and connects the Heart Chakra to both physical and spiritual vibrations. It can calms overactive emotions attract love and resolve issues in relationships, infusing them with joy and Divine Love. ​Blue topaz meaning is related to healing, love and relationship as it promotes harmony & relaxation in relationships. 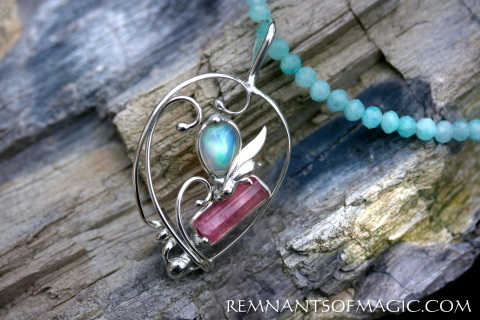 ​Tourmaline necklace not included in pendant price. Check neacklace section for pricing. Sunstone is also said to bring good luck and abundance, and turns negative energies and psychic attacks into positive energies. This stone increases personal power and will, as well as life force energy. 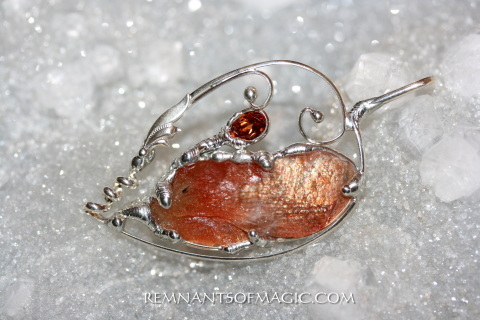 In addition to dispelling fears and phobias, sunstone is also used to decrease stress and lift depression. Zircon crystals or stones have an intense energy that is highly spiritual. They will help you to love yourself and others, and to recognize the spiritual aspects of yourself. 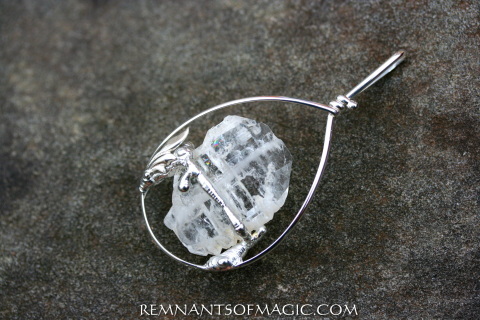 Danburite is associated with the crown chakra and also can enhance the functionality of all the chakras. 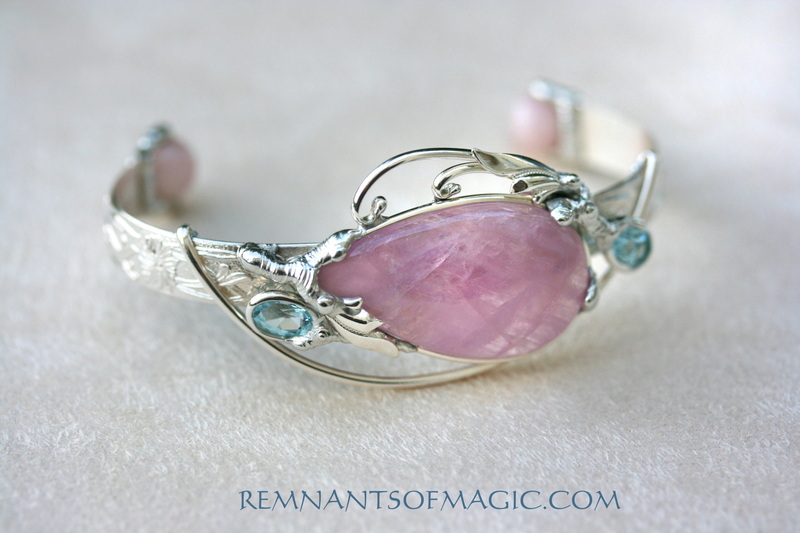 Danburite amplifies the properties and effects of other stones. It will open and release energy blockages, assisting healing on all levels. Thus it is an excellent healing stone. 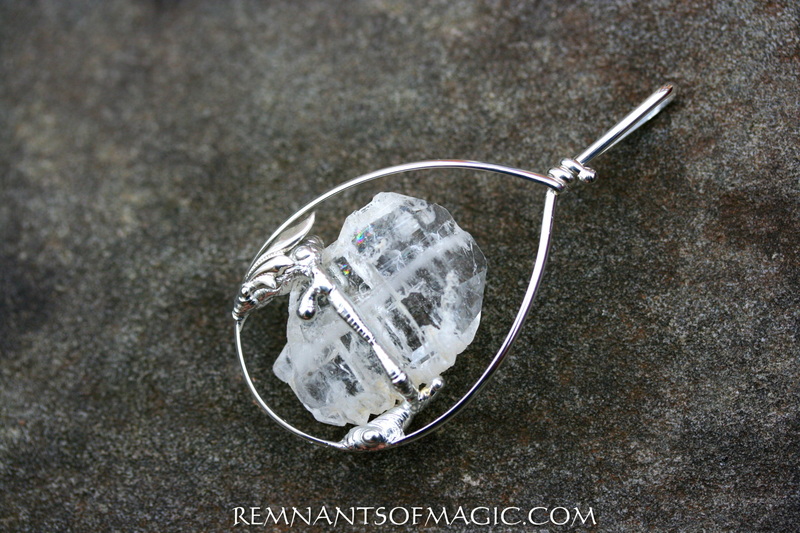 Danburite is also helpful in strengthening clarity and perceptiveness. It also lessens issues of self-pride as well as diminishing blockages. Blue topaz meaning is related to healing, love and relationship as it promotes harmony & relaxation in relationships. Stimulates the heart. Brings openness and acceptance in the intellectual pursuit of love and relationships. Helps one in recognizing the detrimental patterns of one’s life so that growth can occur. Improves personal and business relationships; stimulates crown chakra; provides deep mental clarity; instills faith in love. 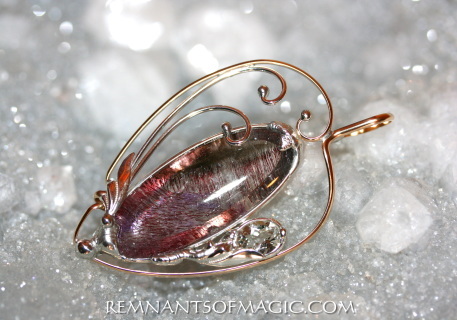 Fadens are used often for astral travel or other alternate dimensions as they allow you to remain connected to this plane safely while travelling others. They are also helpful for learning about past lives and traveling to see them. 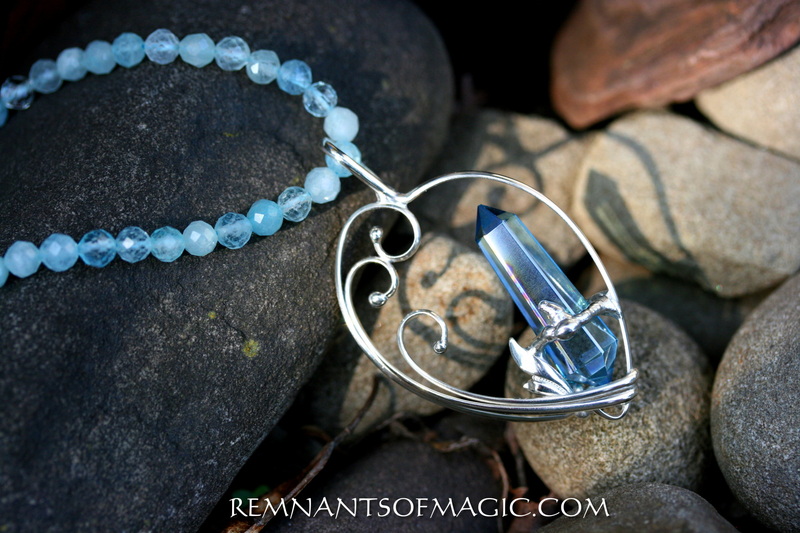 Soothing Blue Topaz is a stone of self-expression and communication that opens both the Throat and Third Eye Chakras. Through it's work with both the Third Eye and Throat Chakras, Blue Topaz promotes truthful communication of intuitive knowledge, making it a great ally for those who find themselves in awkward social situations. It pulls down higher knowledge from the Third Eye to be processed by the Throat Chakra, bringing a direct recognition of higher guidance. Blue Topaz Cuff bracelet in sterling silver. Handcrafted and each one is one of a kind. 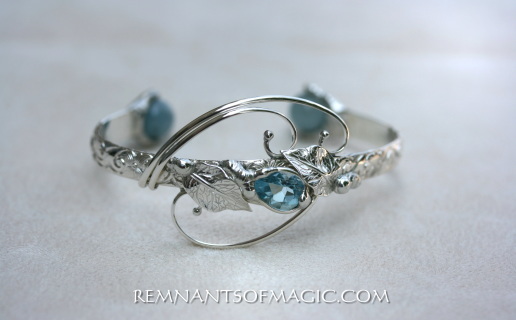 Blue Topaz It is a stone of peacefulness and serenity. It will be calming to your emotions, and it will be the ideal stone for meditation and connecting with your spiritual guides. This stone is also a natural magnifier of your psychic abilities. ... Blue Topaz is a great stone for stabilizing and healing your emotional body. Handcrafted cuff bracelet with Watermelon Tourmaline in sterling silver. 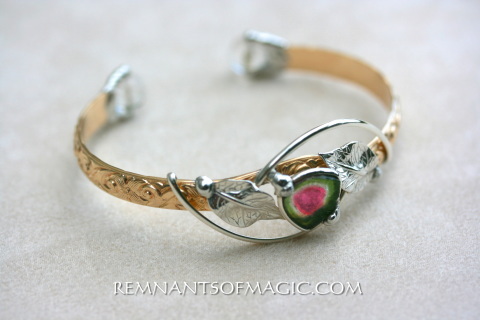 Handcrafted cuff bracelet with Watermelon Tourmaline in sterling silver and Gold. Mystic's Dream Collection Cuff Bracelet with Blue Opal and Blue Topaz in sterling silver. Pink Kunzite - is said to help one to understand and interact better with others, to help heal "broken hearts", to relieve stress and anger, and to bring love, peace and harmony. It is also a stone that is used in metaphysics to removes obstacles. 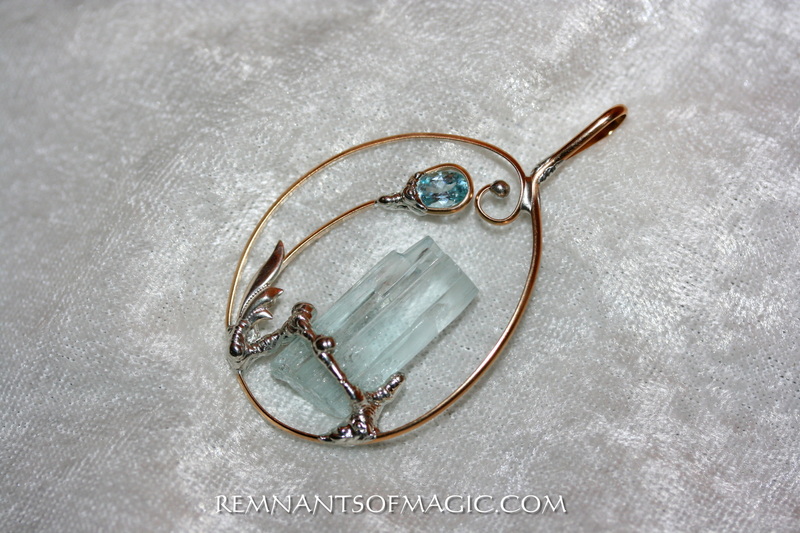 Topaz- Soothes, heals, stimulates, recharges, and aligns the body – directing energy to where it is needed most. This beautiful handcrafted bracelet will fit a wrist from 7 to 8 inches. If needed for a small wrist it can be sized down. 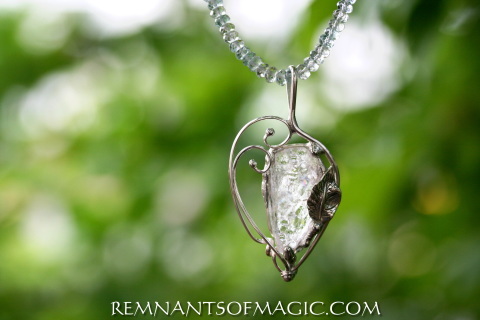 ​Herkimer Quartz "Diamonds" are the high energy seekers of the crystal world. 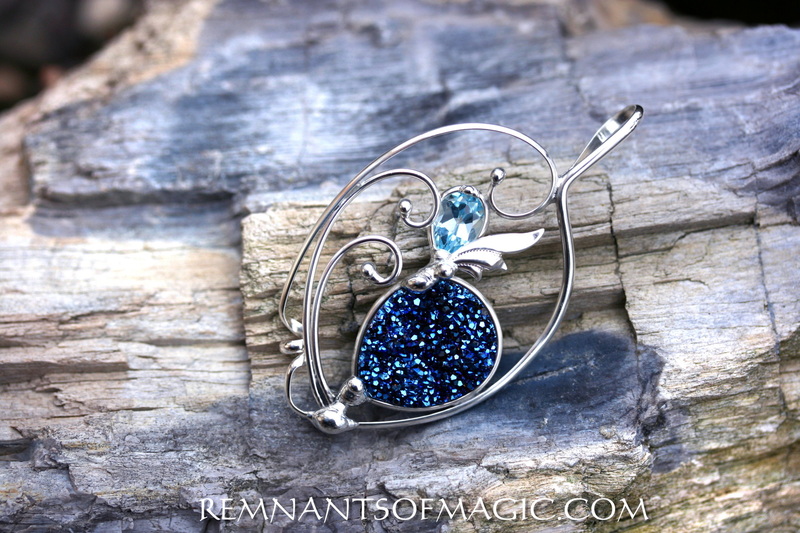 With a brilliant sparkle, they manifest pure, solid Light and are powerful amplifiers of spiritual energy. 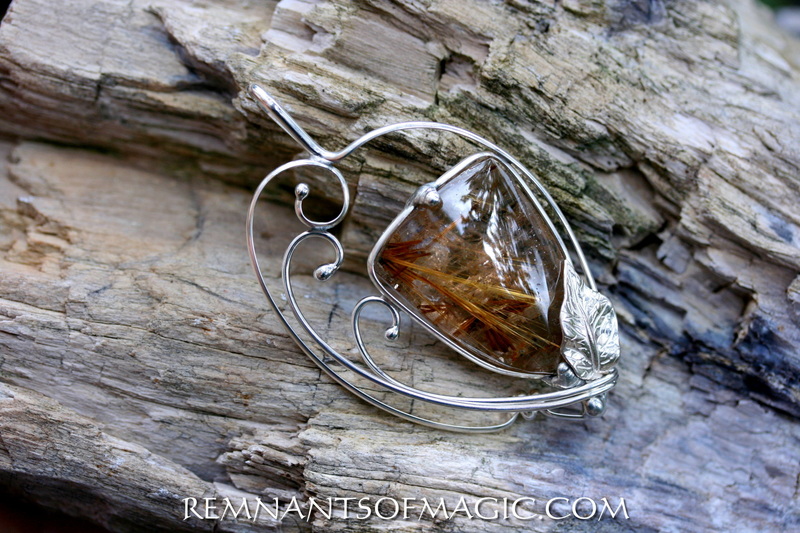 Powered by the Sun, Citrine warms, cleanses, and energizes. Highly protective, Citrine never needs to be cleared, making it a great tool for transmuting negative energy. 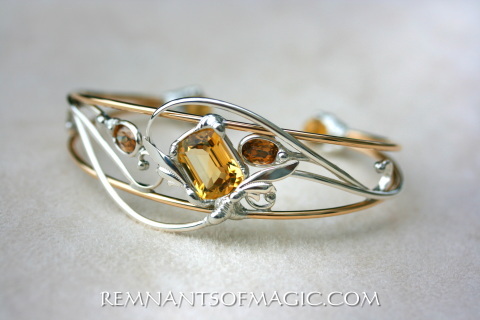 The stone of success, Citrine attracts abundance and promotes wealth. You can use Citrine to attract wealth. 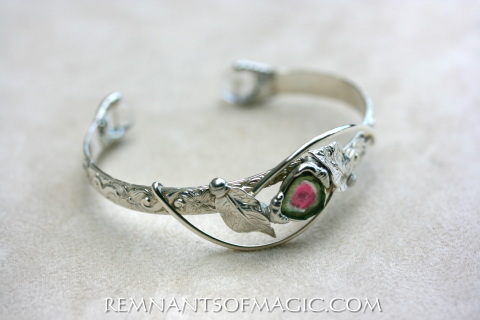 This is a beautiful sterling silver hand made one of a kind cuff bracelet. This bracelet is made from Sterling silver wires and silver solder. 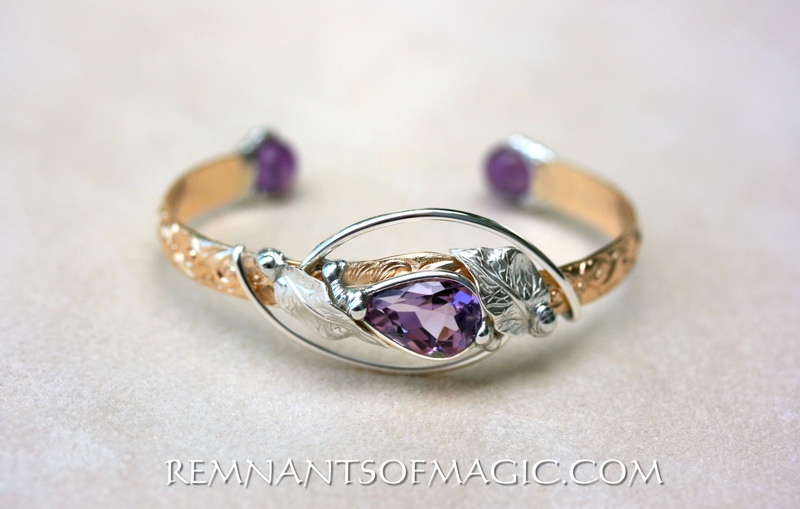 It has a stunning Super seven mounted in the center and faceted amethyst on each side. Super Seven is a very spiritual stone. 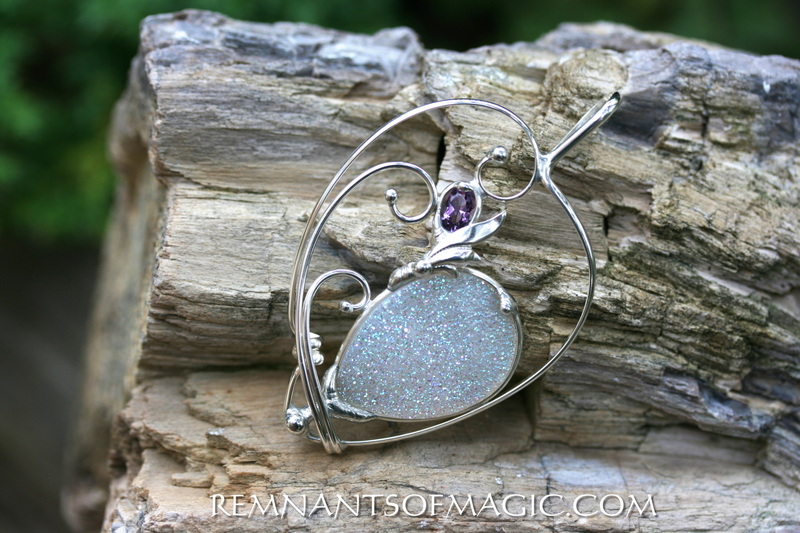 It is one of the few stones that retain their energy and clarity and never needs cleansing or energizing. Also, a piece of super seven retains the properties of all the stones in the combination of amethyst, smoky quartz, clear quartz, rutile, goethite, lepidocrocite and cacoxenite, even if the piece does not visibly show all 7 minerals. Super Seven is excellent for enhancing all types of psychic abilities and psychic skills including telepathy, clairvoyance, clairaudience, channeling, telekinesis, and others. 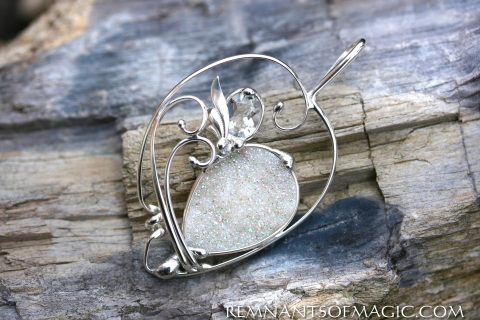 It is a powerful stone for crystal healing, and is excellent for healing mind, body, and spirit. 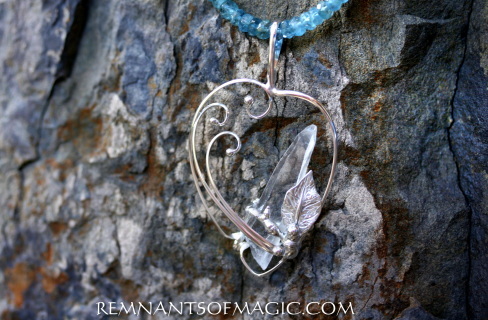 Healing crystal meanings are meant as spiritual supports to healing and are not healthcare advice or prescriptions. Use the crystal meanings to help find your own inner truth; what is best and right for one is not necessary so for another. Some crystals and formations have long-standing traditional uses and properties while others may have newer discoveries of uses or properties. Follow the guidance and wisdom of the Divine and of your higher self when working with crystals.